[Satnews] The Supervisory Board of the Bremen-based space company OHB System AG, a subsidiary of OHB SE (Prime Standard, ISIN: DE0005936124), has appointed Mr. 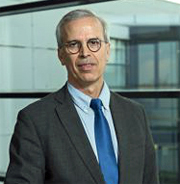 Guy Perez to the Management Board as Chief Technical Officer (CTO) and Head of the Telecommunication Satellite unit effective January 1st , 2016. The new CTO and the Head of OHB's satellite unit. This additional appointment is in response to the Company’s strong growth over the past few years and seeks to distribute the broader range of duties across a larger number of Management Board members. Guy Perez has been working very successfully in the space industry for more than 30 years. Before he joined OHB in 2014, he started as a satellite lead engineer in Aerospatiale and held then numerous technical, program management and executive positions at companies such as Alcatel Space Industries, Alcatel Alenia Space, Thales Alenia Space, Thales International and Omnisys. “With his outstanding background of our industry and plenty years of technical and program management experience in the space business, Guy Perez is the perfect match as our CTO and Head of Telecom Directorate,” said Chief Executive Officer Marco R. Fuchs. “I am looking forward to this new challenge and I am glad to contribute to the future development of OHB in both satellite technology and telecommunication fields,” said Guy Perez.